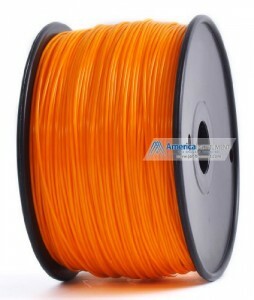 Jet – ABS (1.75mm, Orange color) Filament on Spool for 3D Printer MakerBot, RepRap, MakerGear, Ultimaker and UP! If have a 3D printer, this is the place you can get your 3D supplies.1.75mm & 3mm diameter ABS or PLA. Common colors available. Rare colors can be manufactured upon order.Fullfilled by Amazon! Ship from USA directly! Quality is guaranteed and return is allowed. For international buyers: drop the seller a message in case you need international shipping. It can be handled separately.